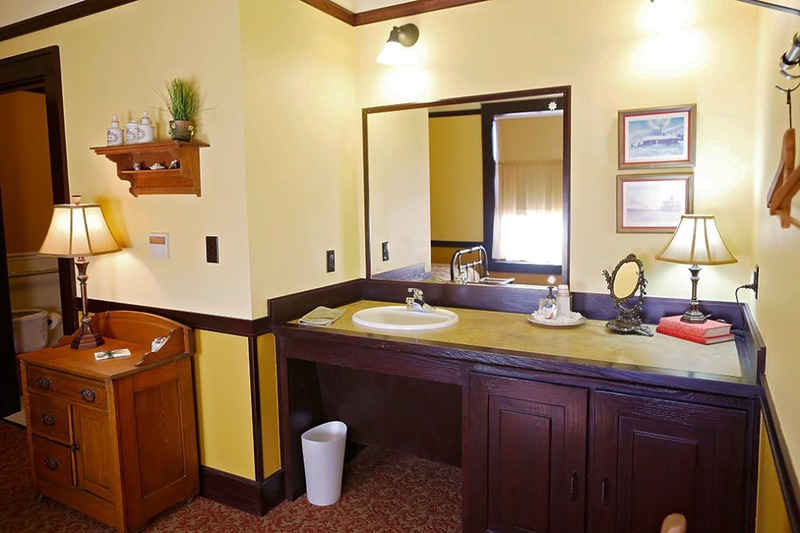 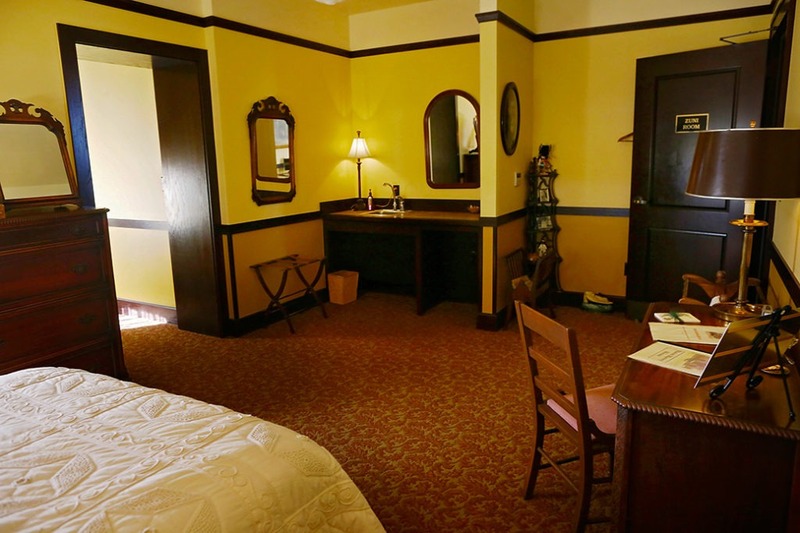 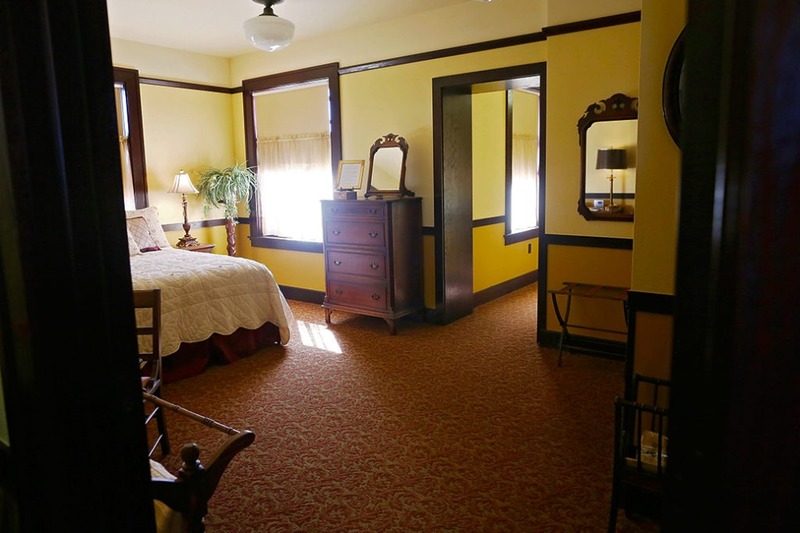 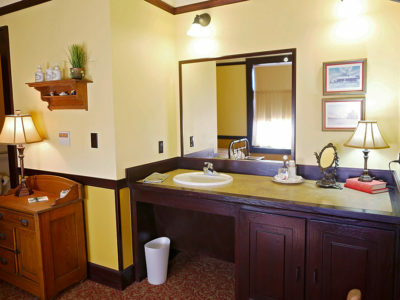 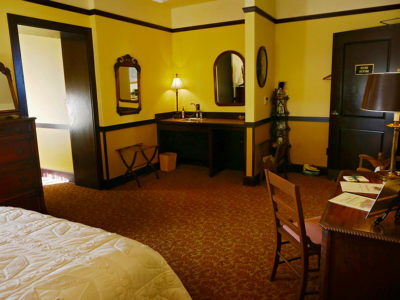 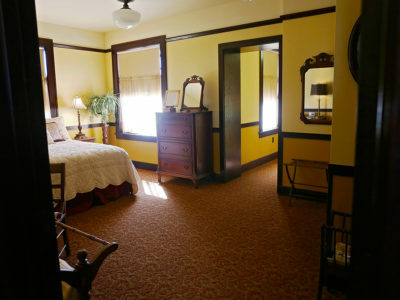 The Zuni Room is a cozy, family-style room with a side view of the rail-yard. 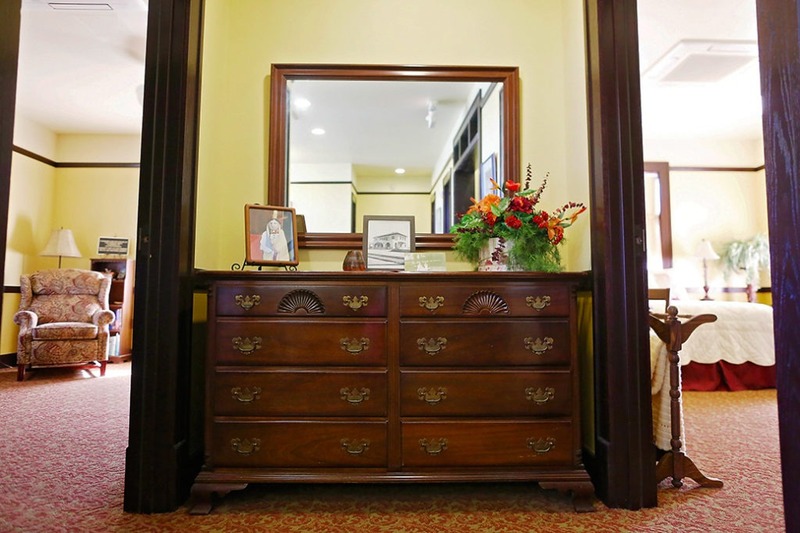 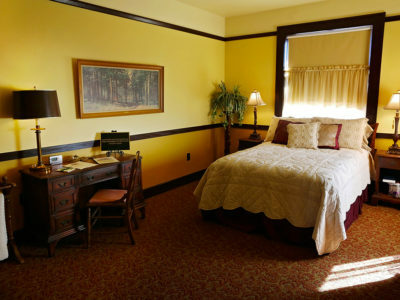 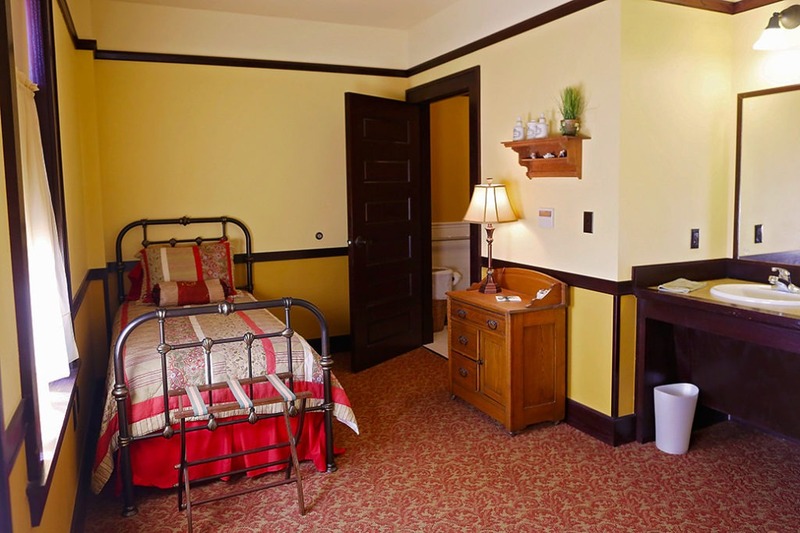 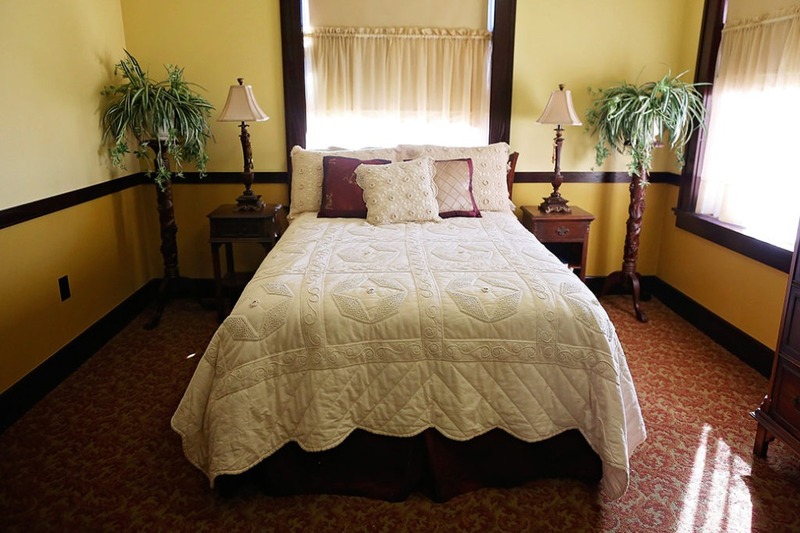 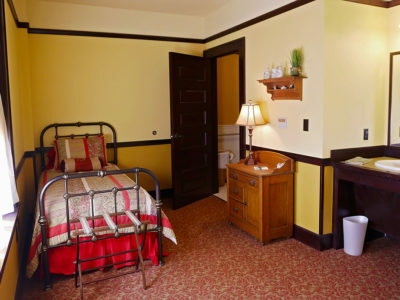 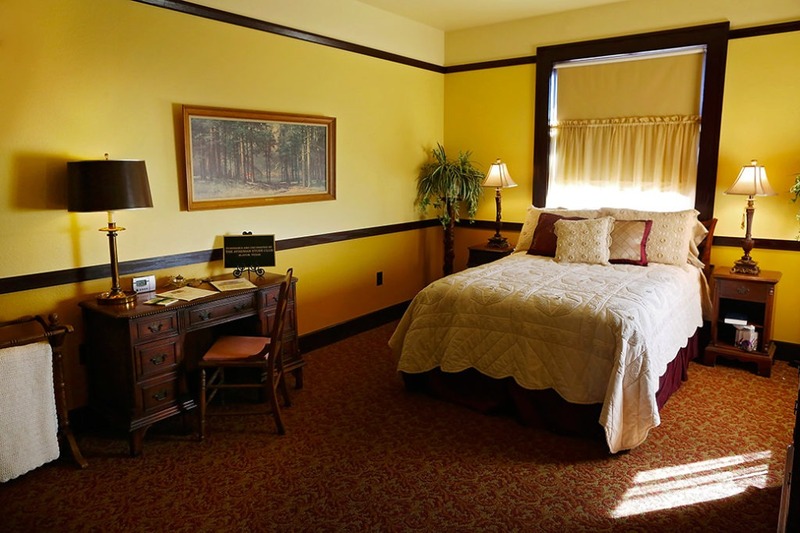 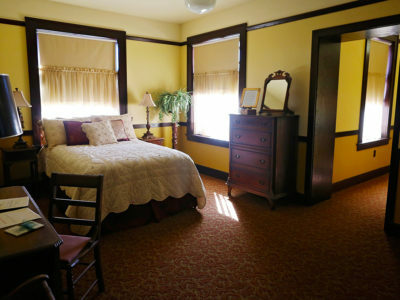 The largest of our rooms, it is arranged into two dressing areas; the front area hosts a full size bed and sink vanity, and the rear space has a twin bed, sink vanity, and handicap accessible bathroom. 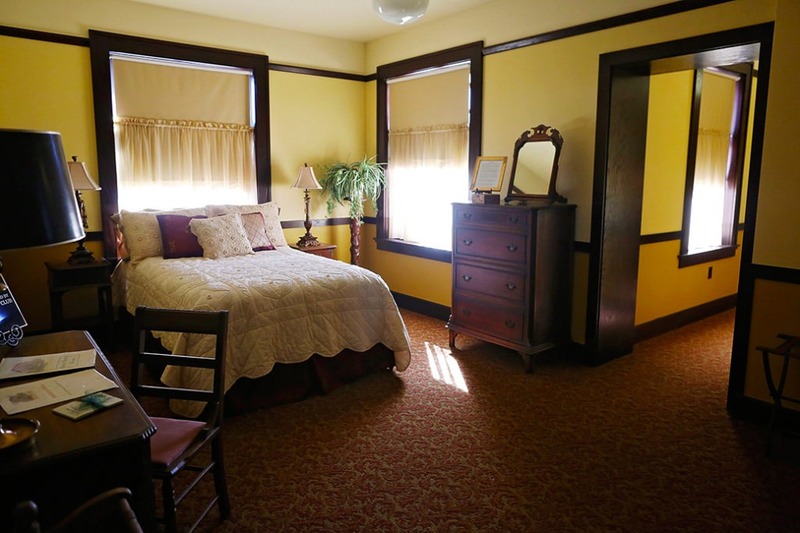 It was furnished and decorated by The Athenian Study Club and the O.D. 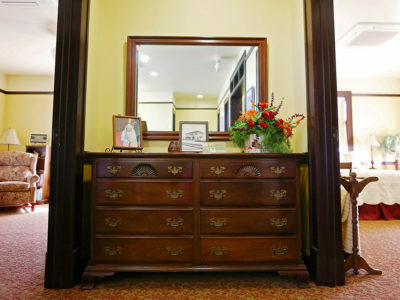 McClintock Family.